Another shot by Patrick Ewing is rejected! 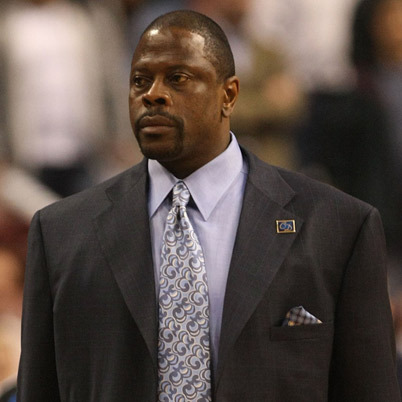 Although retired from the NBA for almost a decade, former Knick icon and hall of famer Patrick Ewing seems to be having his shots at a head coaching job blocked. His latest rejecetion came on Wednesday from former rival, “Space Jam” co-star, and close friend, Michael Jordan. I must admit that the news came as a complete surprise to me because I didn’t feel that any of the other candidates posed a severe threat to Ewing. I mean, Jeff Van Gundy, Pat Riley, or Phil Jackson had not been considered for the Bobcat’s position, so it wasn’t like the competetion was stiff or anything-although sources are now saying that Jerry Sloan has now been added to the list, and more than likely will bring his hall of fame credentials to Charlotte. 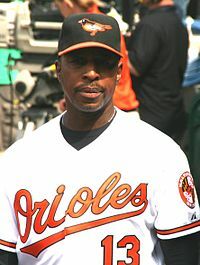 It’s beginning to look like Patrick’s quest has turned into the ‘Willie Randolph Syndrome’ all over again, for as with Willie, the process took an inordinate amount of time and interviewing before he finally landed a mangerial gig; which, it should be noted, was quite a successful one. Remember he finished his 2nd season with the Mets at a league’s best 97-65 and missed going to the World Series by one game. Mark Jackson’s rookie year with the Warriors was less memorable, but unlike Randolph who coached with the Yankees for 11 years, Jackson had no prior coaching experience whatsoever. Yet another reason why someone should give the ‘Big Guy’ a shot. 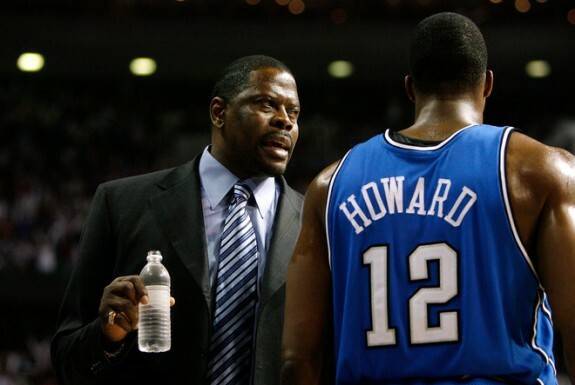 And now, with Stan Van Gundy’s dismissal from the Orlando Magic, it appears that Ewing will be looking for any coaching job. I’ll try to be optimistic about this. I mean if Mark Jackson can go from the broadcast booth to head coach of the Golden State Warriors, then there has to be hope for Patrick and his nine years of being an assitant coach with Houston and Orlando as well as his ability to work with and groom the tempermental megastar Dwight Howard. That surprises the hell out of me too. You would think he has done enough time and shown enough talent working with the Magic to get a shot. Hopefully he gets an opportunity soon. Too bad. Hoped to se Patrick back in action! Story is all too familiar — all I can do is wish #33 luck. His day will come, sooner or later. Sloan is a HOF coach, but with all due respect I can’t see him bringing the energy to what will be a very challenging job, if he gets it. I just hope he doesn’t end up with another team that needs a coach to help their center progress. I would hope that he wouldn’t be known just for that as that would shorten his resume some. Wouldn’t it be ironic if he were to get an assistant coach job at Golden State with Mark Jackson? You nailed it on the head about Jordan hiring his friends. I hope Patrick gets a real chance at a head coaching job. One reason Mark Jackson got the job at Golden State was he played point guard. Thinking man position, like catcher or pitcher or middle infielders in baseball. The perception is those are the smart positions on the field and it’s where gm’s usually keep in the back of their heads when interviewing potential managers and coaches. It may also be something of a perception thing of Patrick being a Knick, the team wasn’t well liked around the league in his prime. I’m purely guessing at this point. 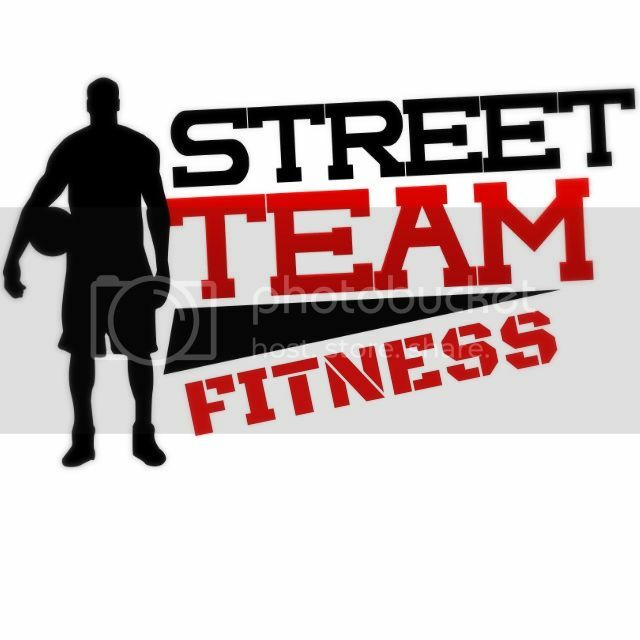 I’m not sure if Patrick were to join the Warriors on Jackson’s staff that would help his cause to being a head coach, and taking orders from someone who has less coaching experience than hi even though he is a friend, it would be a tough situation to over come. I am going to go back to my recent entry and say Orlando should consider Patrick for its head coaching vacancy if not there Portland would be another job worth looking at. Good point as most head coaches were once PG’s. It won’t be easy for the Big Guy but I’m a huge fan and will remain hopeful but realistic.. He deserves a head coaching job; however, I am ecstatic that he won’t be coaching the Bobcats. Look at the owners within the NBA and general managers and then ask yourself which of them would you trust with your money , given the choice ? The league hierarchy of the league is being ran by a bunch of incompetent buffoons and the front office executives are no different .